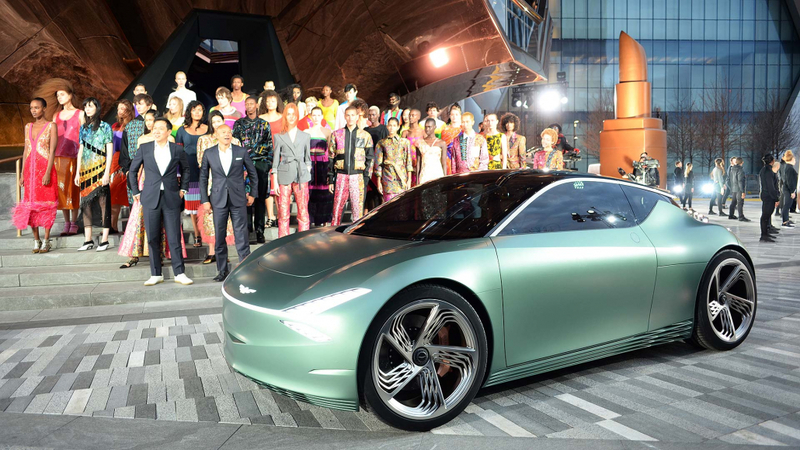 The Genesis Mint is the premium Hyundai division’s idea of how the all-electric sedan will fit into city life in the 2020s. 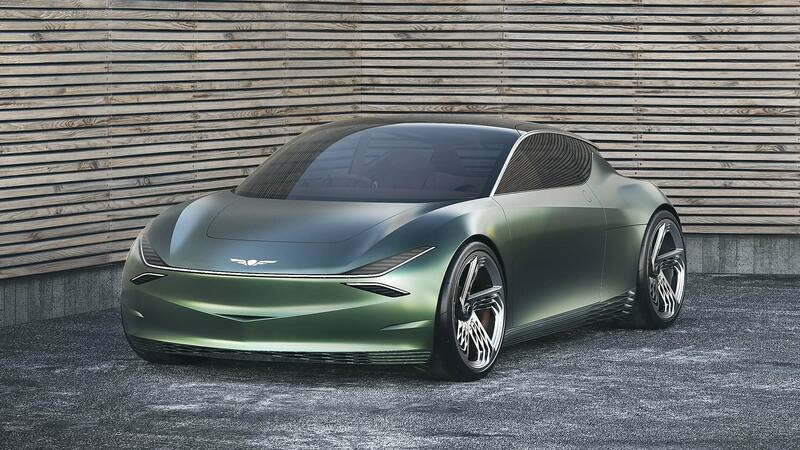 It is being shown at the 2019 New York Auto Show as a taste of what the first compact Genesis could look like. 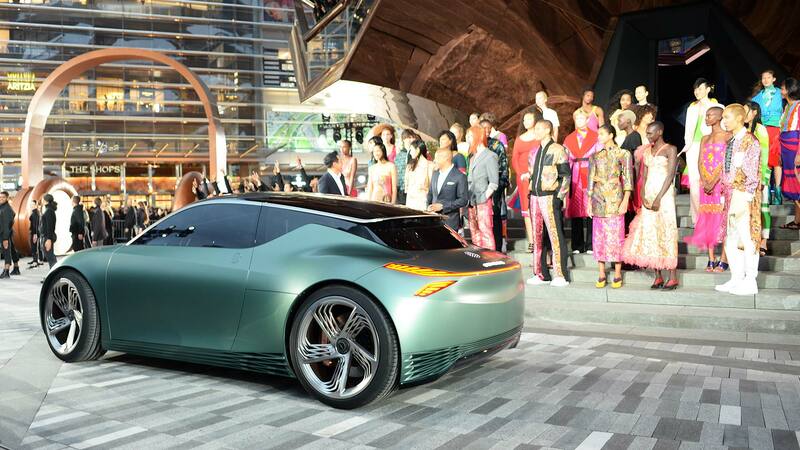 Said to ‘respect city life’, Genesis’ Mint concept is a “lightweight runabout [that] reimagines the iconic shape of the city car”. 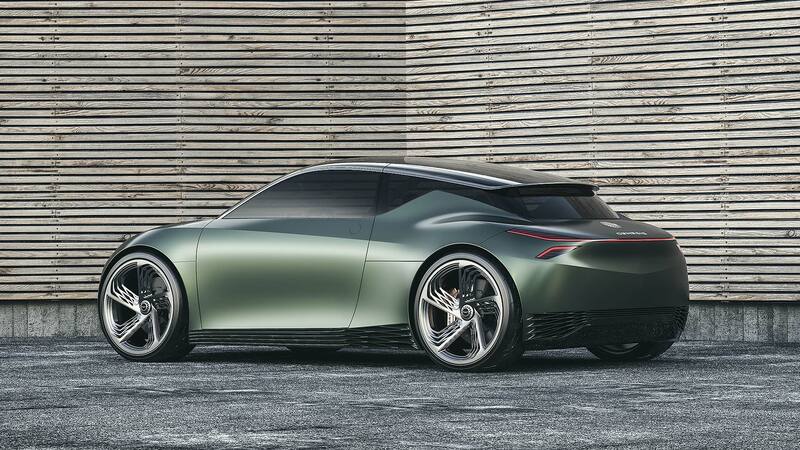 Luc Donckerwolke, chief designer at Hyundai, said it “disconnects the physical dimensions of the vehicle from its positioning as a premium product” and brings the traditional city car bang up to date. The Mint is a two-door, two-seat city car. Despite being a concept, it still wears a sedan-style three-box design, stretching its bodywork right to the corners with super-short overhangs front and rear. It “marries classic proportions with forward-looking, minimalist design,” said Donckerwolke. Finished in Hunter Green matte paint, the car has front and rear lamps elongated far into the corners, giving it more presence and a better stance. Tricks such as the wraparound light bands also give a bigger-car appearance. 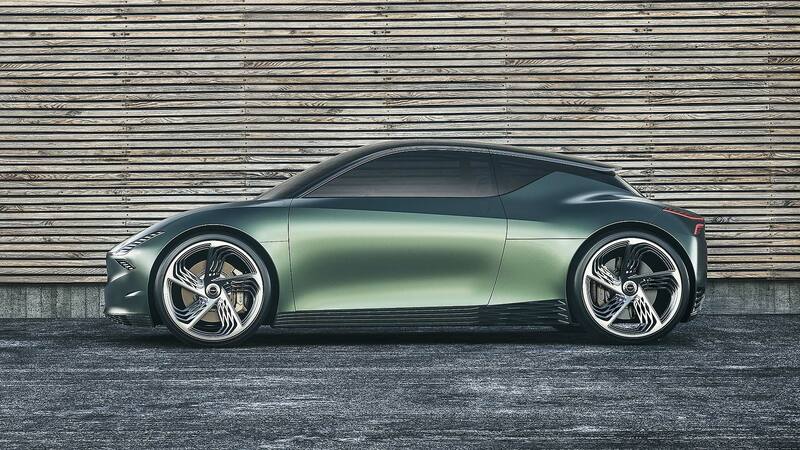 Because it is an electric car, the Mint concept doesn’t need lots of cooling slots at the front. So it is fully sealed off, save for a small opening in the middle to help cool the battery pack. 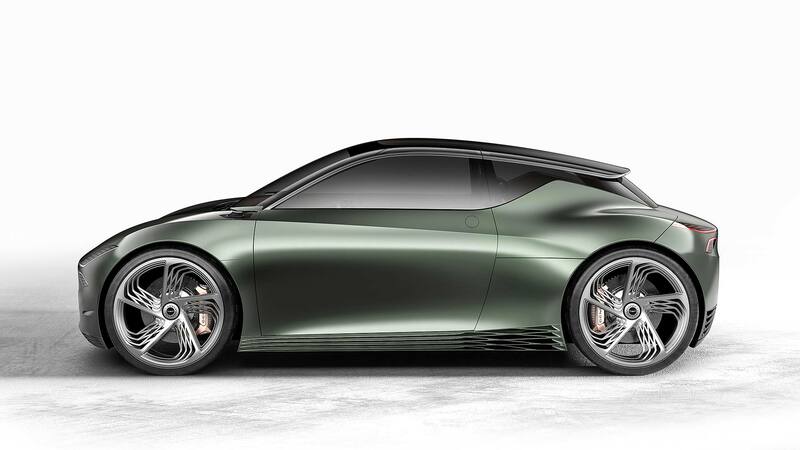 Genesis calls the detailing along the lower half a ‘G-Matrix’ pattern. This doesn’t only look good, it also helps cool the battery and maintain airflow around the battery floor. The wheels’ design is also an aero shape that draws from the G-Matrix style. Inside, it will, for two people, feel enormous. 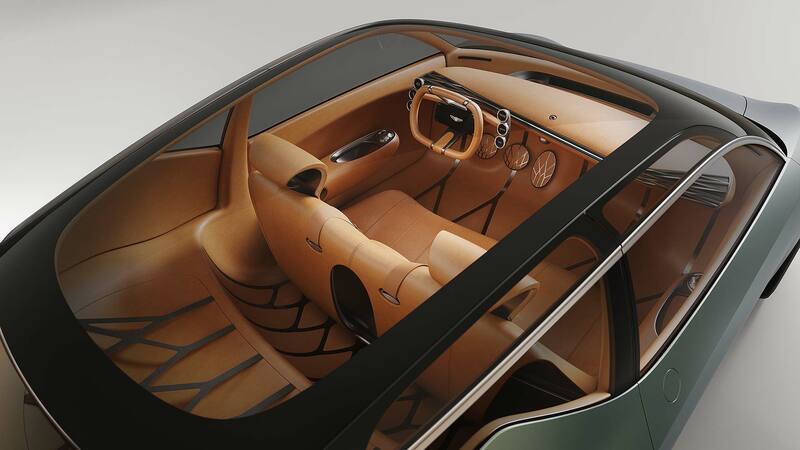 The electric drivetrain has allowed Genesis to hollow out the cabin for an expansive feel, helped by glass that contains no unsightly divisions. Like Korean furniture, the lightweight textiles and cognac leather “embrace the empty space”. It is reductive, decluttered and organic. There’s more G-Matrix patterning inside, with a gunmetal balustrade running across the passenger compartment, and repeating itself in the floor and cargo space. Don’t like the center console? Fold it away and turn the front bench into a couch. 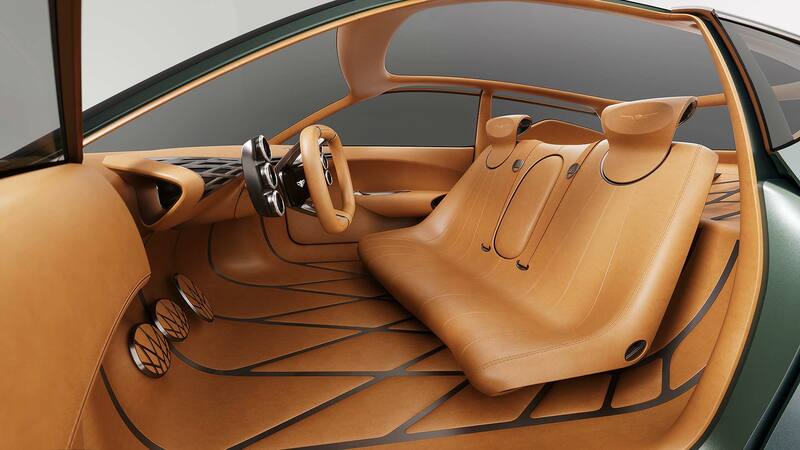 Because it is a modern concept car, it has an oblong steering wheel rather than a boring round one. In the middle is a simple OLED display screen, and surrounding that are six copper ‘Graphic User Interface’ mini-screens. Everything is finished to a very rich and premium standard. The little two-door Mint doesn’t have a normal trunk at the rear. 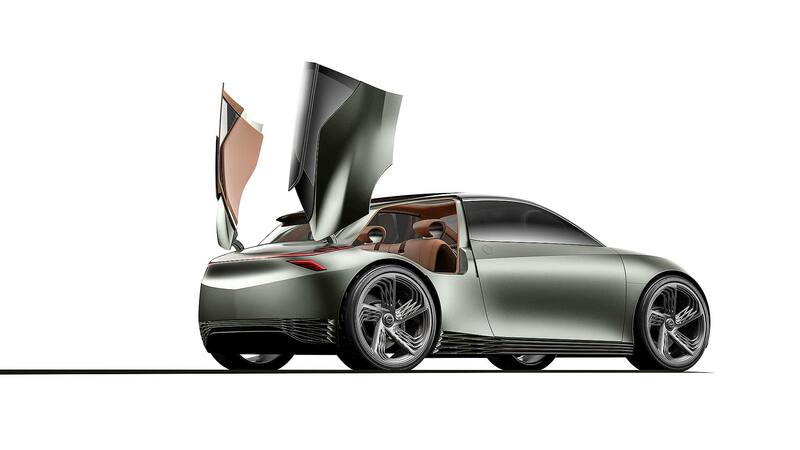 It’s a concept car, after all, so has dual scissor-style side openings instead. These offer a low load height perfect for kerbside use. Oh, and the trunk isn’t a conventional load bay, but a beautifully tailored parcel shelf. Why a city car? Because of the rise of megacities, that’s why. Ever-more people are choosing to live in large cities, and ‘megacities’ – those with populations of 10 million or more – are set to grow in the future. Many residents will be well-off and seeking new premium cars – but megacities are likely to restrict car usage and insist they are all EVs. Add in the challenges of congestion and the case for an upmarket small electric car is clear. It’s this future that Genesis is preparing for with the Mint.